There's nothing I love more than when the warmer weather months come our way. Unfortunately, in SF, that doesn't happen until fall hits. In the meantime, when there's a flicker of heat I like to take advantage. But, that also means I keep a jacket and scarf within reach. This Zara scarf is so lightweight that it makes for a great summer accessory. I'm imagining it paired around the neck with a casual jean and tank outfit or draped across the shoulders with a belt around the waist for a more dressed up look. The color adds just enough punch to make an outfit pop. In other news, I'm so relieved the weekend is here. It's been a rough week with projects at work but the break is in sight! Do you have you big plans? You look great! Can I have this skirt please? Happy Friday! perfect layered outfit for an S.F. day! 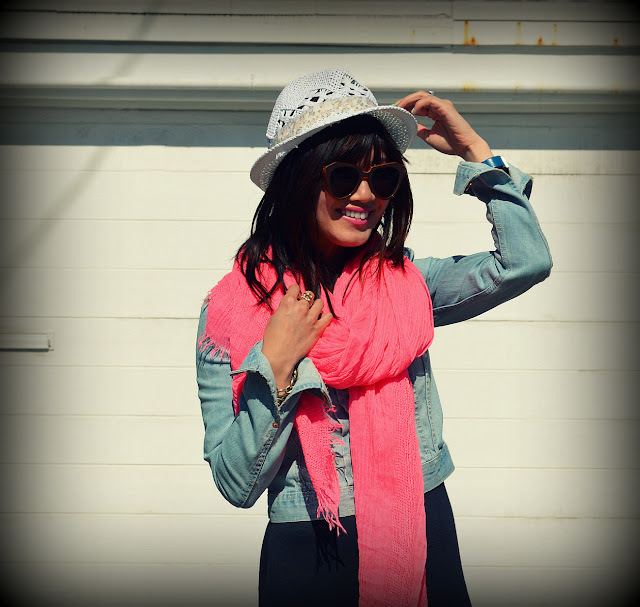 Love the hat and that pink scarf! Love this look – a summer scarf is so key to keep around. Really dig that Zara dress! That pink colour is so flattering on you! 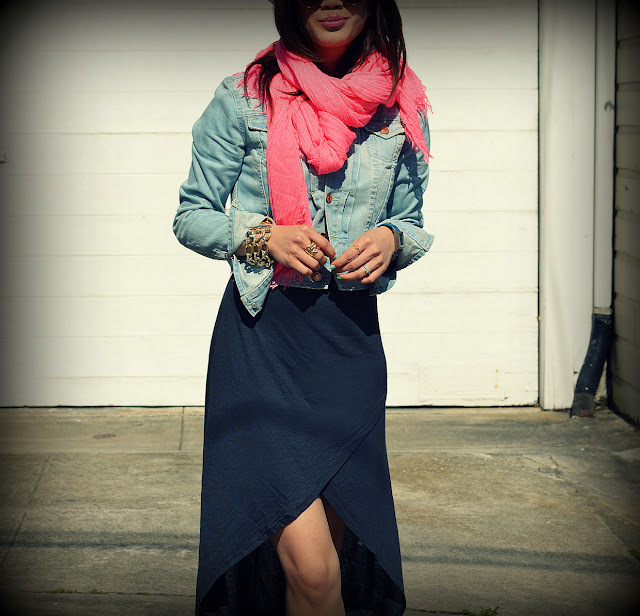 I love how you made this casual and chic with the denim, maxi, and scarf. Have a great weekend! I have a wedding to go to this weekend, so it'll be tons of fun! What a fun skirt! You look so effortless and stylish. 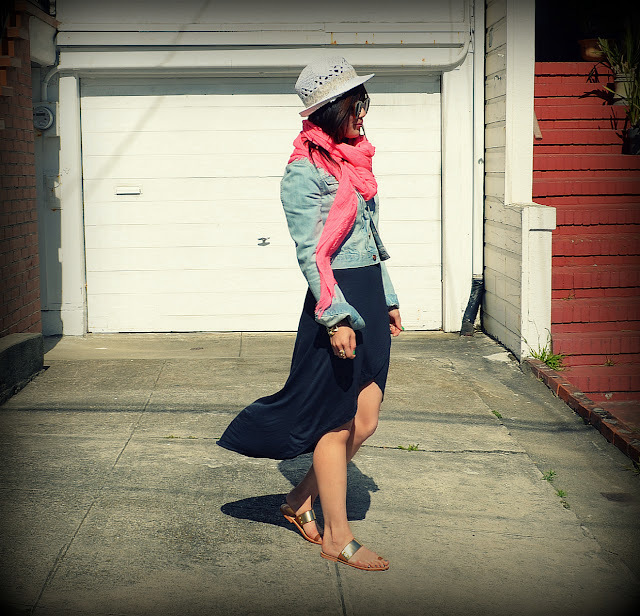 Love your style, great blog!! So pretty :) I looove your outfit!! I'm so jealous of your weather. It's freezing here! I finally got my own hi lo skirt and had to wear it with leggings, boots, and two sweaters! Interesting color-combination ! And again, amazing shoes ! 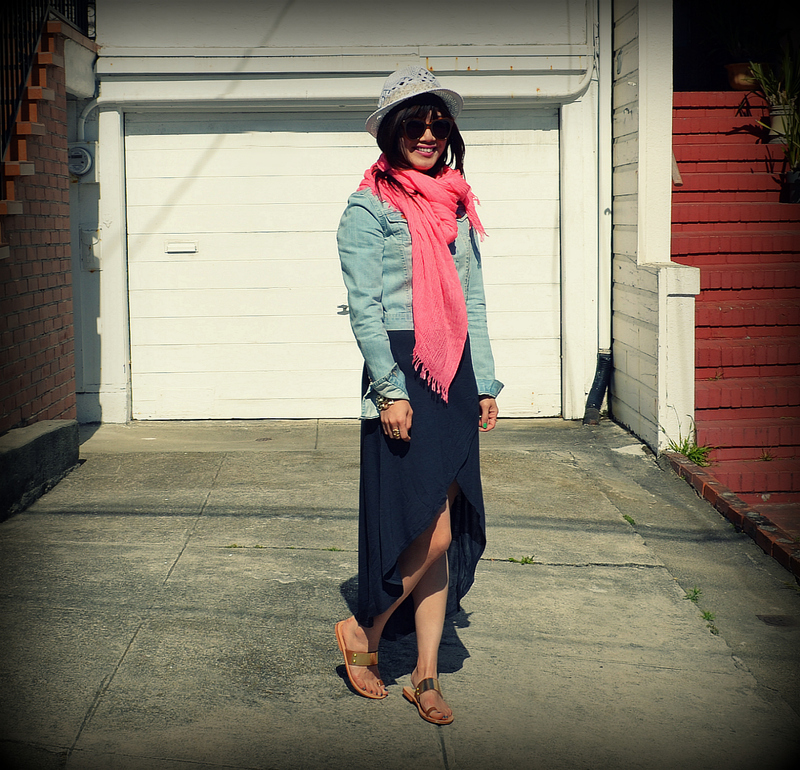 Laidback with a certain style factor! Like that, especially with those shoes. 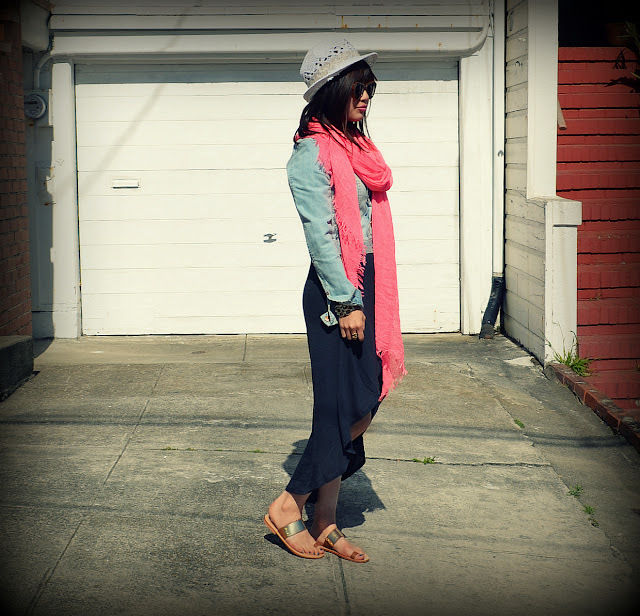 I love the layering :) The wrap skirt looks great on you. I like carrying around a lightweight scarf during the warmer seasons too - you never know when it might get a bit chilly. That's a nice casual summer hat. I love, love your sandals. Those are super cute!